Frequently voted one of the best travel destinations in the world, New Zealand is famed for its stunning landscapes, hospitable people, and range of thrilling outdoor experiences. The new edition of Insight Guide New Zealand provides both inspiration and practical guidance for a visit, with its combination of lavish full-color photos of the country’s incredible scenery and detailed information on the country’s fascinating history, culture, and diversity. 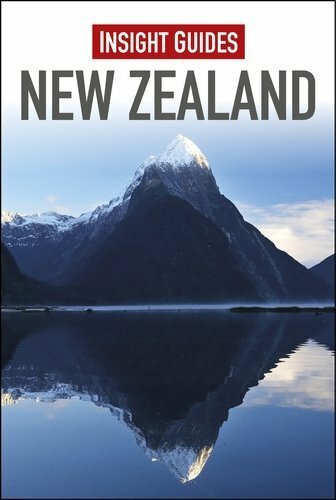 The Best of New Zealand section guides you to all the must-see sights and quintessential experiences, while fascinating features explore topics from Maori art to thrill-seeking in depth. Our expert author takes you through all the sights, from cosmopolitan Auckland in the north to the vast southern extremes of Southland and Stewart Island, taking in beautiful beaches and vineyards, adrenaline-pumping outdoor activities, Maori culture, and the safe, laid-back atmosphere of this small and friendly country. Maps throughout will help you get around and a comprehensive Travel Tips section gives you all the travel advice you need to plan your trip.